We know that Boston Dynamics builds some pretty amazing, albeit often terrifying, robots, but the company has struggled to find the best application for its machines. However, it seems at least one of them – the dog-like Spot – could find a commercial use delivering packages. 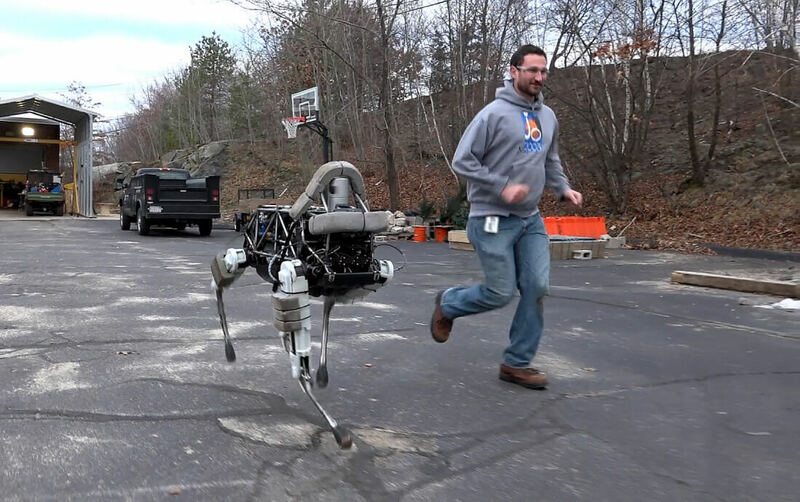 While the Google-owned company’s four-legged robots originally seemed perfect for the military, it turned out that the large LS3 (Legged Squad Support System, also known as BigDog) was far too loud for use in the field. The electric-powered Spot was thought to have solved the problem, but it can’t carry anywhere near the same amount of weight as the LS3. At the TED 2017 conference, Boston Dynamics founder and CEO Marc Raibert revealed a video of Spot delivering a package strapped to its back to someone’s home. What makes it so suited to the task is that it can walk up stairs and open doors while carrying deliveries. Spot is the larger version of the SpotMini, which we recently saw helping out around the house in a video from the company. More firms are turning to automated machines as a way of delivering goods. While they use wheels rather than four legs, DoorDash and Domino's have been testing out their delivery robots.